We are pleased to introduce the new Napoli Summer Collection Three Door Sideboard in Gloss White finish with contrast light slate grey finish wooden doors. 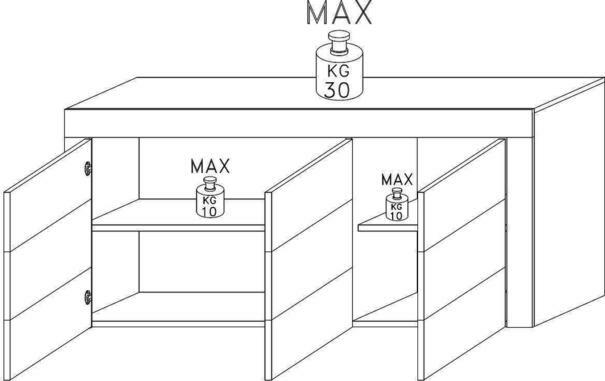 The Napoli Sideboard has three doors,two L +R opening and one from the central point. 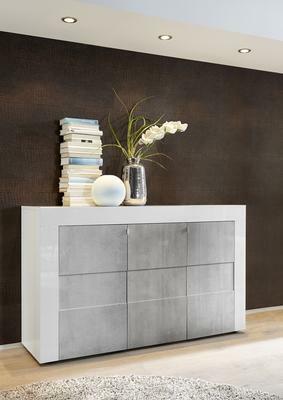 The recessed design of the slate grey doors are contrasted by the white lacquered metal door handles further enhancing this modern design sideboard. There is a central shelf in each compartment, finished in matt white. Finish: Gloss White + Light Grey Slate finish doors.